A unique collection of household electrical fittings available in any colour. These bespoke coloured switches and sockets are finished to special order. 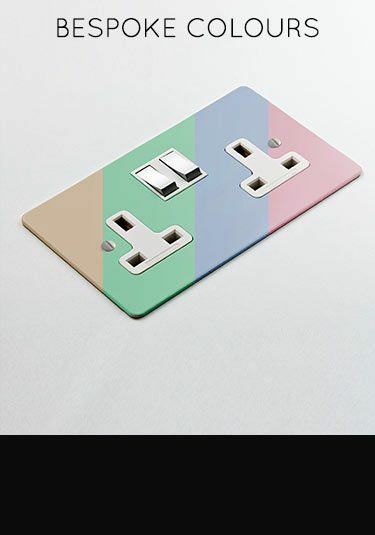 Also available are matching TV points, satellite sockets, fuse spurs and cooker points all required to produce a matching finish to your individual colour scheme. Manufactured and designed in Great Britain. 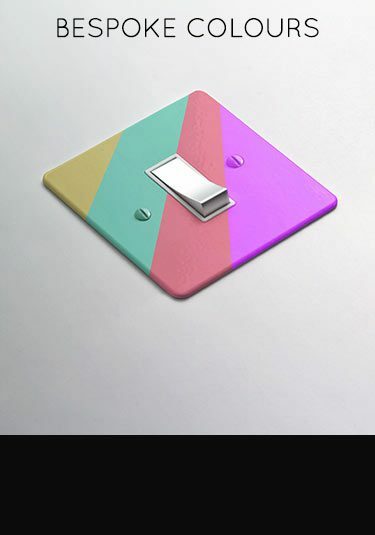 Full range of British made light switches that can be finished to your exact colour choice. Ideal for matching to your interior colour scheme. Light switches can be supplied with rocker, toggle and dimmer switching. A luxury range of British made household plug sockets supplied in any coloured. Our bespoke colouring service allows you to colour match your electrical fittings to suit your interior colour scheme.